These 16 oz printed mason jars with handles are perfect for all types of drinks from lemonade, iced tea, fruit punch or wine coolers. 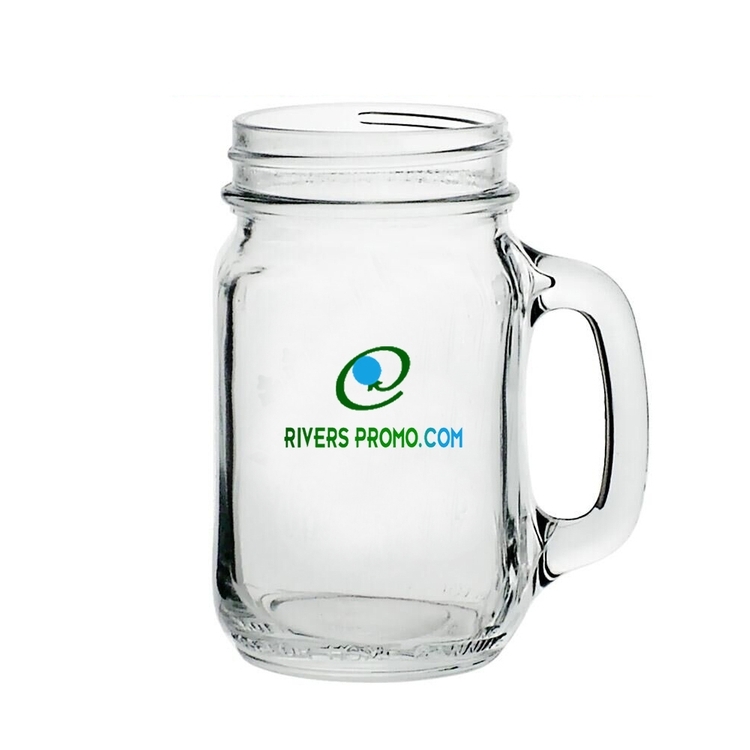 The large size make these custom mason jars with handles perfect for highly visible custom prints of the company logo, club emblem, organization slogan, or motto. Custom print with the date of a wedding and the names of the happy couple for ideal wedding favors. These wholesale mason jars with handle are sturdy and economical. They are truly unique and creative, customizable products that customers love.